Who doesn’t like to gaze at the clouds? I remember as a kid peering into the sky to name the types of clouds. Most elementary age students can rattle off cumulus, cirrus, nimbus, or stratus clouds pretty easily, but the reality is that there are far more cloud types. Clouds play very important roles in Earth’s weather-climate system. I will explain why in a moment. 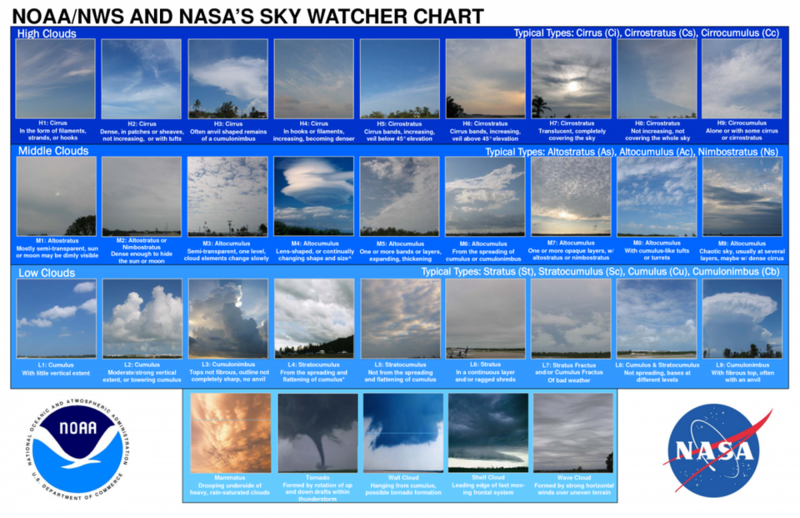 The National Aeronautics and Space Administration (NASA) needs your help making sure its advanced satellite interests are correctly measuring clouds. If you have a smartphone, you can become a “NASA scientific research assistant” for the months of March and April. In contrast to the warming effect of the higher clouds (like cirrus), low stratocumulus clouds (for example) act to cool the Earth system. Because lower clouds are much thicker than high cirrus clouds, they are not as transparent: they do not let as much solar energy reach the Earth’s surface. 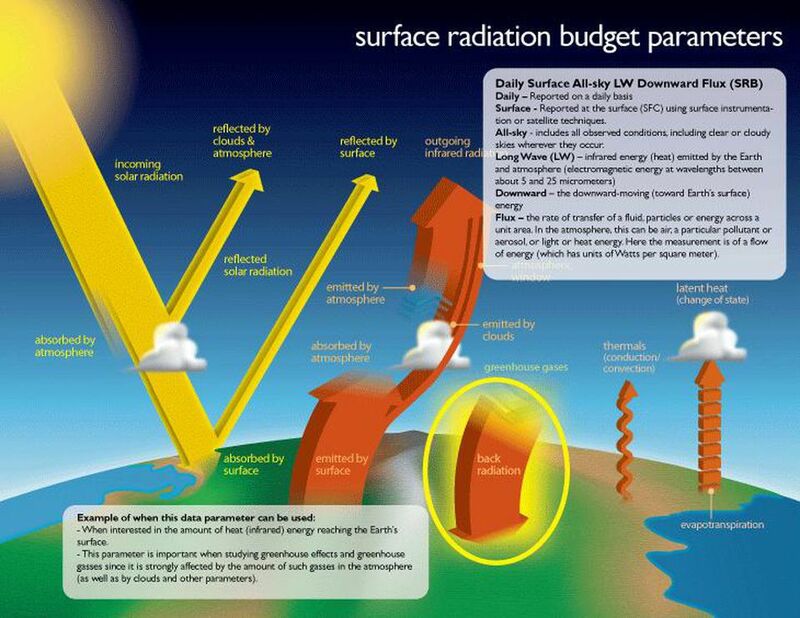 Instead, they reflect much of the solar energy back to space (their cloud albedo forcing is large). For decades, NASA has been placing the Clouds and the Earth’s Radiant Energy System (CERES) instrument experiment on satellites to measure clouds and their different types of heat properties. Before joining the faculty at the University of Georgia in 2006, I spent 12 years as a scientist at NASA Goddard Space Flight Center. One of the satellite missions that I worked on, the Tropical Rainfall Measuring Mission (TRMM), carried the first CERES and the most recent one was launched in 2017 on the NOAA JPSS-1. Long-term, uninterrupted observations are the only way to document and understand trends or changes on Earth. Now back to how you can help NASA. According to Marilé Colón Robles, lead for the GLOBE Clouds team at NASA’s Langley Research Center in Hampton, Virginia, “The GLOBE Program is offering this challenge to show people how important it is to NASA to have citizen scientist observations; observations from the ground up. Your observations are essentially helping NASA validate or confirm what the CERES experiment is measuring from space. This is important because from space, a cloud might be hard to distinguish from a snow-covered background, for example. The cloud observer in the Challenge with the most observations will actually receive a special recognition from NASA. As a young up and coming met in Atlanta I noticed that we never had a day in which a record maximum was set with much if any cloudiness. I saw it get to 105F in 1980 under cobalt blue skies. 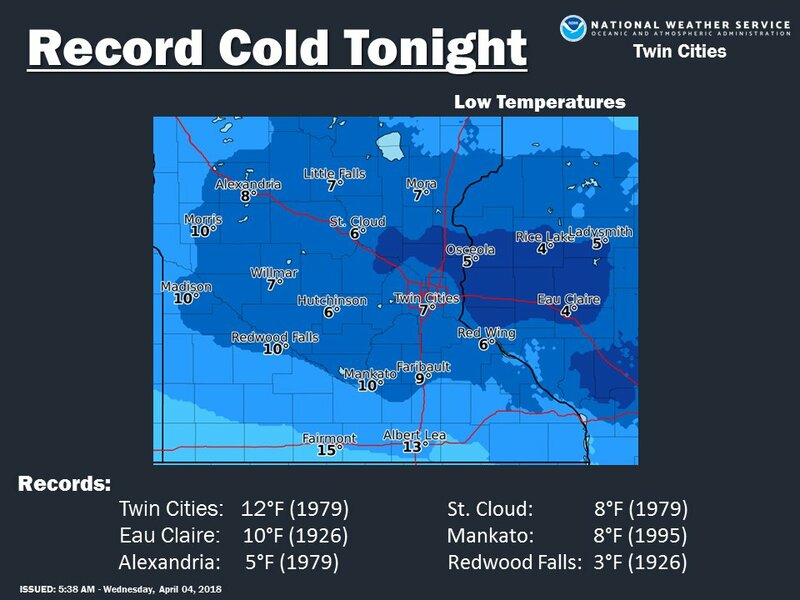 Conversely record minimums were also set when the sky was clear at night, so clouds play a big role with those extreme temperature. As an aside while reading this hmm… I wonder if the NASA app could be improved such that cloud types could be identified just by the user of a cell phone holding the thing up to the sky facing the cloud in question. It shouldn’t be too difficult for a cell phone camera to scan the sky then match what is up there with catalogued cloud types such as in the above chart. Such an app would really have a lot of meteorologists of all ages geeking out. Winter in April continues across the north-central U.S., and it’s not leaving anytime soon.